Discover Cairo, the city that never sleeps with dreamingantstravel and our partner Spring Tours Egypt. There, you will find the top things to do and the most important attractions in Cairo such as the Egyptian Museum, where you will find the greatest collection of Ancient Egypt antiquities, and Egypt's Pyramids, which are famous for reflecting the grandeur of the Egyptian civilization. Cairo, also known as the City of Thousand Minarets, is rich with monuments depicting the majesty of the Islamic civilization such as the Citadel of Salah El Din and Sultan Hassan Mosque. Step back in time and sail down the Nile River, ride a camel in the desert past the iconic pyramids, shop for exotic spices at the world's oldest and most famous bazaar, Khan el Khalili. dreamingantstravel Packages to Cairo include airfare, visa, 5 star hotel facing the pyramids, private driver, and English speaking tour guide. It will be the most unforgettable experience of your life. Rates based on double occupancy. Prices vary depending on month of travel. Email dreamingantstravel@yahoo.com for more info. 10% end of year discount. Exclusive Personalized Egypt Tour Just For You! 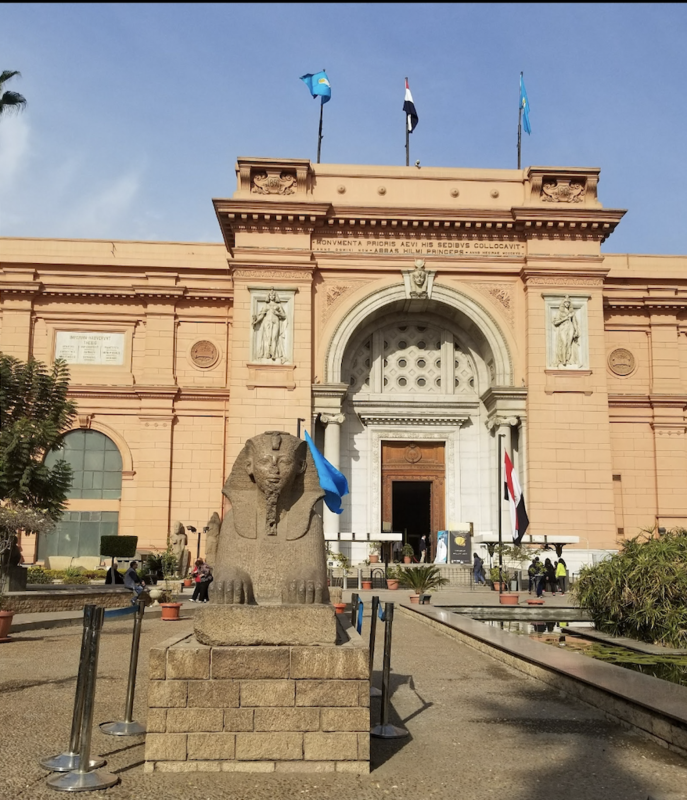 This huge neoclassical building houses the largest collection of ancient Egyptian artifacts in the world, including artifacts from the tomb of King Tut. Visiting Cairo, you will easily locate this enormous mosque, due to its prominent features: its dome rises up to 170 feet high and two east side minarets reach not less than 275 feet. Khan El-Khalili is one of the biggest bazaars in the Islamic world. It was first founded as a caravanserai by Jarkas El-Khalili, Master of the Horses of Sultan Barquq, in 1382. The bazaar is a combination of shops serried in narrow streets. There you'll find everything you're looking for including glassware, perfumes, woodworks, potteries … etc. Constructed at least 4,500 years ago and shrouded in fascinating mystery, the pyramids of Giza are the only Ancient Wonder of the World to survive today. Your package includes a luxurious room at the world famous Mena House. Built in the 1800s, this 5 star hotel is set on 40 acres of plush gardens and is the site of the Egypt’s first ever swimming pool. 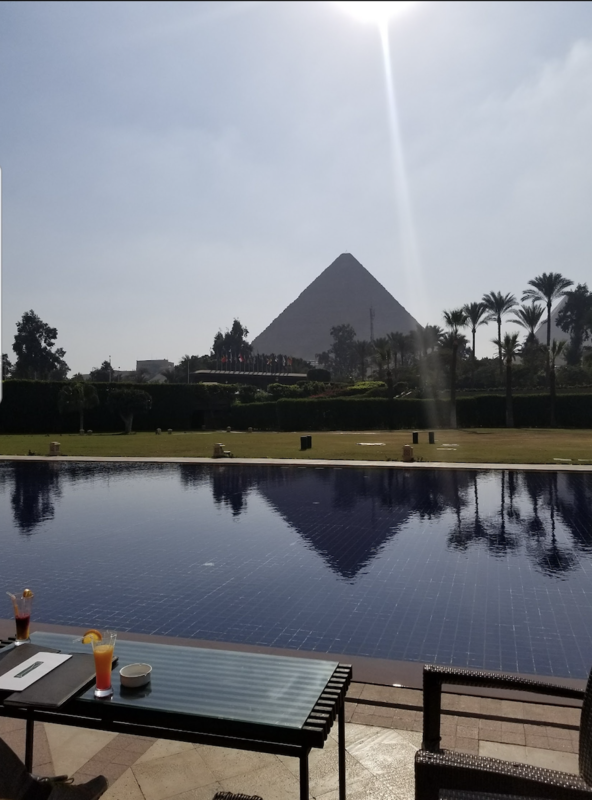 During your stay you will have a once in a lifetime opportunity to enjoy breakfast each morning facing the iconic Giza pyramids. Plus, you will join the roster of such famous people as Agatha Christie, Winston Churchill, Charlie Chaplin, and Frank Sinatra, who were among the hotel’s many notable guests over the years.